Water is a growing concern in agricultural communities. 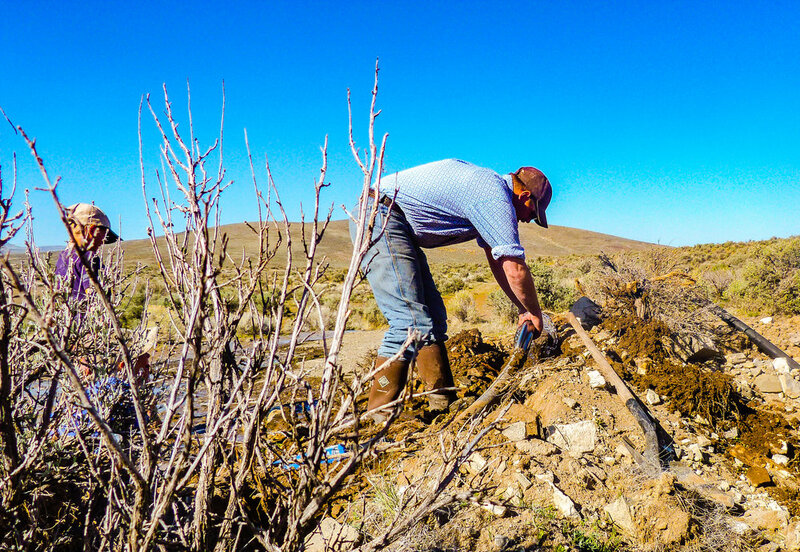 As law makers continue to legislate the use of this natural resource, ranchers work to find new ways of managing stock that would traditionally move during drought conditions. Operations located in desert environments have taken to using water storage tanks with pipelines to distribute the liquid gold. Occasionally though, these systems fail. When Sam has cattle dependent on this type of system, he will run the water line twice a day. Filling a storage tank can take a long time but one leak can quickly spill out any surplus that was saved. This can lead to troughs that are over-crowed, resulting in additional damage to the system. Because water is not a commodity we can afford to waste, we all but prohibit recreational use by the kids. When the damage has been done though, the boys take full advantage of it! Although we explained it, he still doesn’t understand why that was so funny. And luckily, the cows are now moved to a new pasture with a different watering system.